The Lyrid Meteor Shower will fly through our skies this week, visible between 16th and 25th April – but when is the best evening to see it and when will we have the optimum chance of clear skies? Temperatures are warming-up ahead of the Easter weekend, with some parts of the UK set to reach up to 20c. The Lyrid Meteor Shower is best seen in clear, cloudless skies, so the Met Office’s weather prediction is good news for those wanting to catch the beautiful display of shooting stars. Appearing every year in April, the stunning display occurs when the Earth crosses the path of a comet. “The week ahead is looking generally settled, with temperatures warming toward the weekend. Friday and Saturday in particular should see plenty of sunshine and temperatures as high as the low twenties,” Richard Miles, a spokesperson for the Met Office told Country Living. When is the best night to see the Lyrid Meteor shower? “At the moment the best night this week looks like Thursday night, with clear skies for most of the UK at the optimum viewing time of between midnight and dawn,”continues Richard. 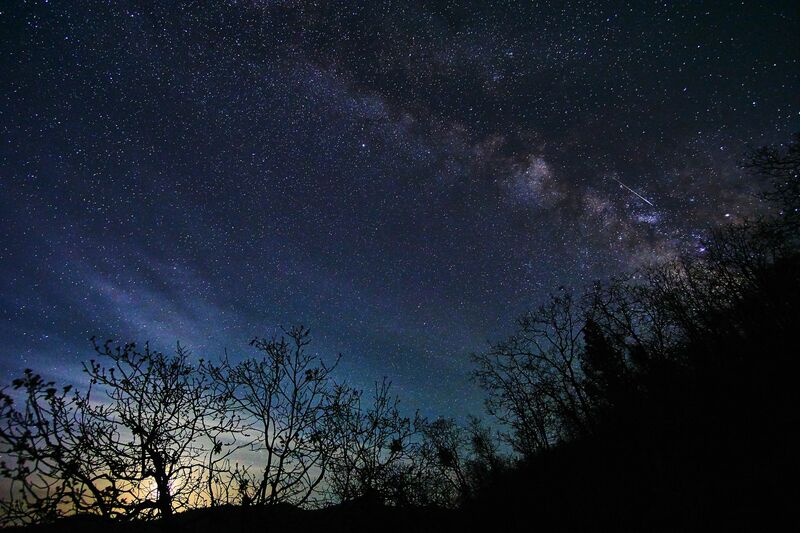 It’s good news this year, with a warm spell boosting our chances of catching a glimpse of the meteor shower. We will also be treated to another lunar spectacle this weekend – April’s full Pink Moon. “The April full moon is often called the Pink Moon, named after pink phlox flowers that are the first wild flowers to bloom in spring,” Dr Emily Drabek-Maunder, astronomer at the Royal Observatory Greenwich, told Country Living. The beautiful sight will appear on 19th April, peaking at 12:12 GMT, according to timeanddate.com.